Drive Monitor startet, aber keine Schrift lesbar, es erscheinen nur "eckige Nullen"
Ich habe extra ein Bundle aus True Image Home 2011 + PlusPack + Drive Monitor gekauft. Nachdem ich DriveMonitor mit der anderen Software von der CD installiert habe startet Drive Monitor, aber statt jeglicher Schrift erscheinen nur "Klötzchen" (statt eines Buchstabens steht da jeweils eine Art eckiger Null). Daraufhin habe ich mir DriveMonitor bei Ihnen heruntergeladen, aber es entsteht das gleiche Problem. Purchased True Image Home 2011 + Plus Pack and Drive Monitor. You installed the software from the CD drive and started Drive Monitor. 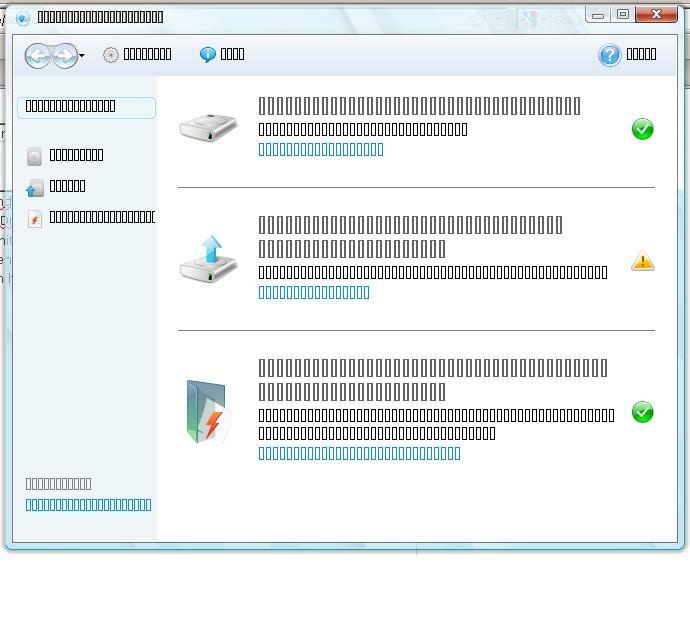 Drive monitor shows bracket blocks instead of text. You then downloaded ADM and the same thing happens. Does True Image display properly? Are you using the German language version of Windows and is it the German language version of True Image? I think the problem might be that ADM isn't coded for German characters or possibly the fonts you are using. Make sure you register your True Image and Plus Pack in your account and download the most up to date version. Also make a rescue CD and make sure it can boot your PC.